House Speaker Frank Chopp testified for a bill on which he’s the lead sponsor Tuesday. 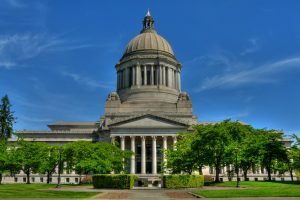 The speaker has said that the bill, which would allow the University of Washington School of Medicine to start planning for a behavioral health-focused teaching hospital, is his first in 20 years. Gov. 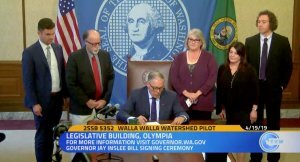 Jay Inslee requested the bipartisan bill, which is part of the plan to “transform” Washington’s behavioral health system that he announced alongside lawmakers — Chopp included — and stakeholders at the end of last year. Requires the med school to create a plan, due to the legislature December 1, 2019, to develop and site the teaching hospital, plus optional extras that could be part of the campus. Among the other features the plan might include: adding psychiatry residency training slots for community psychiatry services, initiating telehealth consultation, and creating a fellowship program for primary care providers who want to treat patients with behavioral health needs. 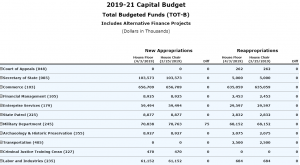 The governor’s proposed capital budget includes $2 million to support the “predesign for a 150-bed teaching hospital” at UW. In his testimony, Chopp stressed how important the project is, citing his own experience with behavioral health care in Washington. Rashi Gupta, Inslee’s senior policy adviser on behavioral health integration, explained the bill and its two-birds-one-stone logic at the hearing. Other testimony came from the director of psychiatry at UW Medicine, director of government relations at Providence St. Joseph, chair of UW Medicine’s campaign for mental health, and representatives from the Washington State Hospital Association, SEIU Healthcare 1199NW, and the UW School of Social Work. All testimony was positive, with at least two testifiers calling this a “historic” bill. 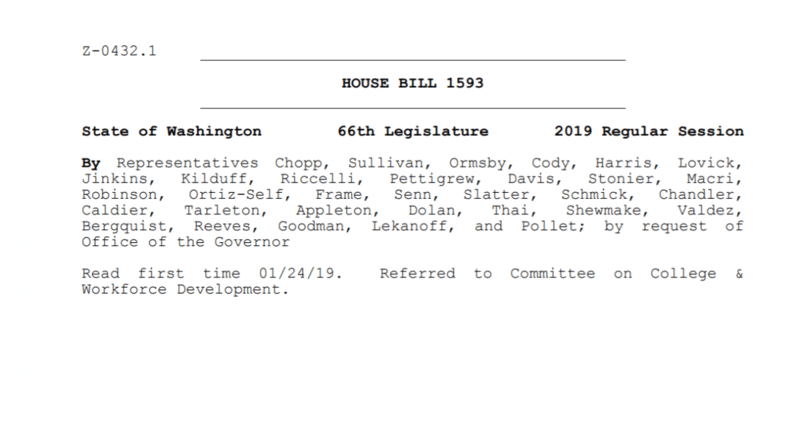 The bill is scheduled for executive session Friday morning. 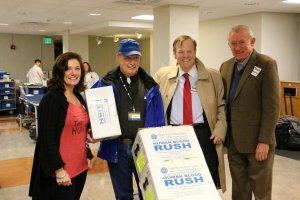 This article was cross-posted on our sister site, State of Reform.